Today I’m excited to be guest blogging for Mary Evelyn Smith at What Do You Do, Dear? I absolutely love Mary’s writing. She’s witty, fun, and warm. She has the canny ability to make you laugh and cry all at once. She’s a mom of two, and her son has spina bifida, so she writes a lot about life with spina bifida, but she also occasionally makes up her own library songs and tries to convince us she looks just like Ashton Kutcher. 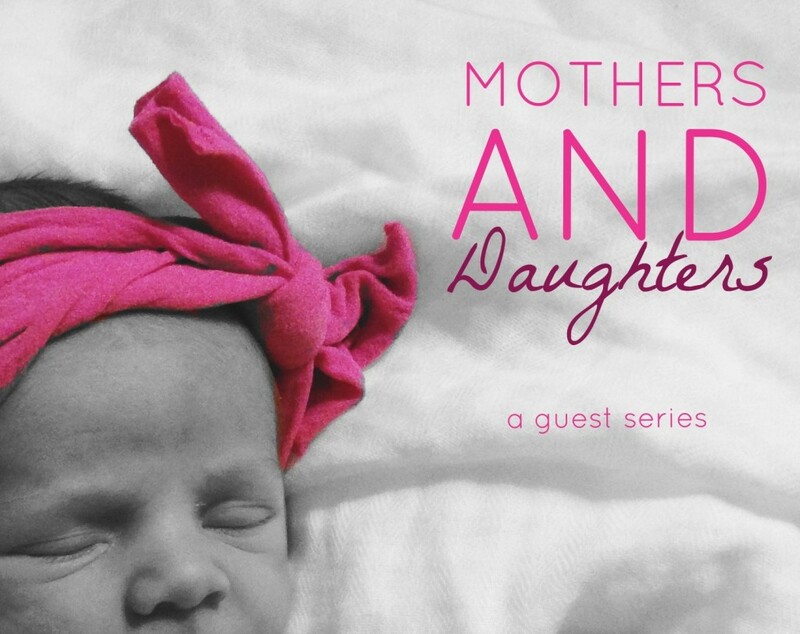 I’m grateful to be sharing my words over at her place today for her Mothers and Daughters series! I am almost ten years into mothering a little girl, and the truth is she’s no longer a little girl. She has become a real person. That might be strange for me to say, but we don’t really treat toddlers and young children like people, do we? Instead, they are little beings we must keep safe and use simple language with and point out all the minutiae of the world to: Look! It’s a bird! Say bird! That’s right, bird! Birds live in nests in tall trees! What kind of tree is it? A tall tree? I’m happy to report that my daughter can now say bird, describe a tree, and keep herself safe if I decide to take a nap on Sunday afternoon. However, now that she’s a person, it turns out that she really does not want her mom writing about her on the Internet. And it also means that we have entered the Era of Anti-Pink. Let me explain. When I found out I was pregnant, I will admit it: I wanted a girl. I didn’t tell people that, of course; I told them I didn’t care which gender it was. But secretly, deep in my heart, I wanted a girl. I wanted pink ribbons and frilly dresses and girl nights set aside just to watch Mary Poppins and Anne of Green Gables. At our 20-week ultrasound, we found out we were, indeed, having a girl. My dreams had come true. I imagined a garden-themed room, and though Pinterest wasn’t around back then, I had the perfect idea: I wanted the garden from the children’s book The Stories Julian Tells. That garden was magical, with flowers and vegetables and catalog cats. (What are catalog cats? Well, you must go read the book to find out!) I made my husband (painter and decorator extraordinaire) read the part of the book that described the garden, and although he wasn’t keen on painting catalog cats on the walls of our daughter’s bedroom, he transformed the room into a beautiful pastel pink, yellow, and green garden. It is wonderful to mother daughters! Mine are in their twenties now – but still endlessly fascinating and wonderful.